Dorel Asia SRL is voluntary recalling cribs that pose strangulation and suffocation hazards to infants and toddlers. All consumers, including those in Oklahoma, should immediately stop using the recalled cribs. About 635,000 drop-side and non-drop side cribs are affected. The cribs were sold for between $120 and $700 nationwide at Walmart, K-Mart and Sears from January 2005 through December 2009. If you have purchased any of these recalled products or have been injured by them, contact the Oklahoma crib lawyers at Carr and Carr Attorneys law firm. Each lawyer will help you see if you can obtain compensation for either purchasing one of these recalled cribs or being injured while using the crib. 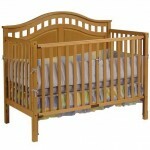 The drop-side hardware can fail, causing the drop side to detach from the crib. When the drop side detaches, it creates a space in which an infant or toddler can be trapped and suffocate or strangle. These cribs can also pose a serious entrapment and strangulation hazard when a slat is broken. This can occur while the crib is in use, in storage, being put together, taken apart or reassembled; or during shipping and handling. Parents should not use any crib with missing, broken or loose parts. To help keep your crib sturdy, tighten its hardware from time to time. When using a drop-side crib, check to make sure the drop side or any other moving part operates smoothly. Always check all sides and corners of the crib for disengagement. Disengagements can create a gap and entrap a child. In addition, never try to repair any side of the crib, especially with duct tape, wire or rope. Click here to see more info including pictures. Log on to www.dorel-asia.com to order a free replacement kit. If you or a loved one has purchased one of these Dorel cribs, contact the Oklahoma defective products attorneys at Carr & Carr. With offices in Tulsa and Oklahoma City, the experienced Oklahoma consumer recall lawyers at Carr & Carr can assist you no matter where you live.